Learn everything you need to know about the home buying process with On Q Financial! Purchasing a home can be a fairly complicated process and, if you’re new to it, a pretty intimidating one, too. When doing research into what it takes to buy a house, you may be surrounded by words and terms you may not understand completely, or you may not even know where to begin. Once the basic steps are all laid out for you, however, you’ll begin to realize that home buying isn’t nearly as scary as you might have believe. Perhaps unsurprisingly, the first step you should take is determining how much home you can afford – and if you can even afford one at all! 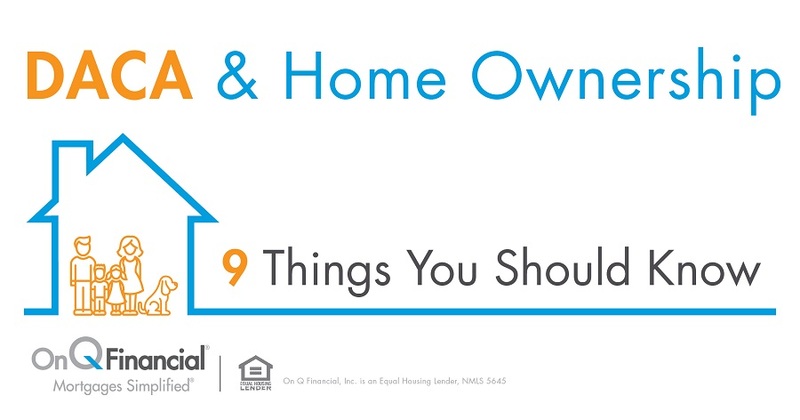 Owning a home is much different than renting, say, an apartment. Maintenance and repairs fall to you, as do responsibilities like caring for your lawn. All these costs should be taken into consideration. On Q Financial’s can help you figure out the affordability of purchasing a new house. The tool allows you to enter in factors such as a home’s purchase price as well as the interest rate and term length of a loan. Don’t forget to also plan for additional fees associated with home buying, including those for attorneys, insurance, remodeling and closing costs. In addition to determining how much you can afford, you should also figure out the quality of the loan you’ll be able to qualify for. You can do this by checking your credit through one of the many free online credit reporting sites online or through your credit card provider, if they offer the service. Credit scores are presented as numbers on a scale of about 300 to 850. The higher the score, the better. Credit scores are affected by factors like the age of your oldest credit line, the number of on-time payments you’ve made and the amount of credit lines you have open. The next step is to find a mortgage lender and get pre-approved for your loan. Pre-approval helps you and your lender gain a better understanding of how large of loan you qualify for. This process involves your lender pulling background information on you, like your credit score, to make the determination. On Q Financial has several great options for and guides you through buying your house every step of the way, including the pre-approval process. Real estate agents are invaluable assets when home searching, providing you with info on houses and neighborhoods you would not otherwise know. Agents don’t cost you a dime, either, as they’re paid through commission from the house’s seller. Now comes the time when you figure out where you’re actually going to live. Find a house that meets your needs, wants, priorities and budget. Consider the neighborhood, the number of bedrooms, the space both inside and out and things like schools and businesses in the area. Make a list of your desires and requirements, then start hunting. It may be helpful to take notes on every home you tour, as remembering the features and specifications of each can be difficult. Once you’ve found the home that’s right for you, work with your agent to put in a fair offer on the house. If you and the seller agree on a price, your new house will enter escrow – the period during which all the remaining steps in the home buying process are taken. Purchasing a home is among the biggest life decisions you’re going to make, so you’re going to want to know you’ve made a sound investment. During a home inspection, qualified inspectors enter your new home and investigate anything that may need fixing. Your agent will help you coordinate the inspection to take place within the days following your home entering escrow. Once the inspection is complete, both you and the seller will be provided a report. Then, you’ll have the opportunity to ask the seller to repair any damage to the property, or back out of the deal if the house’s problems are too significant to fix. Most likely, your lender will require you to purchase some form of home insurance. More often than not, they’ll ask you for proof that you’ve pre-paid at least a year’s worth of coverage. Because the home you’re purchasing (unless you’ve paid in cash) is technically your lender’s property, they want the peace of mind that it is protected in the case of something unfortunate happening. Standard homeowners insurance will protect your house against things like fire, theft, damage from natural forces like windstorms and snow, falling objects and frozen household systems (such as plumbing). There isn’t a one-size-fits-all mortgage. Lenders have a wide range of to accommodate the many needs of buyers. Working with your lender will help you determine which loan you’ll need in your particular situation. There are two main types of mortgage programs, which you should have knowledge of as a first-time buyer. The first are adjustable rate mortgages (ARMs), which are short-term loans that offer fixed interest rates for a short period of time, typically in the range of one to seven years. After this period is over, the mortgage’s interest rate can go either up or down yearly. This fluctuation is dependent on the state of the housing market. Those who opt for adjustable rate mortgages are usually people who don’t expect to be staying in their home for a long amount of time. Additionally, these types of loans are good for those looking for lower interest rates and payments, which may or may not relate to the expectation of not owning their home for long. The second are fixed-rate mortgages, which offer interest rates and monthly payments that stay the same for a longer length of time (traditionally 15 or 30 years). You might jump for this type of loan if you expect to stay in your home for many years and/or want fixed payment amounts. Once you’ve picked the type of mortgage you need, you’re ready to sign final paperwork and move in to your new home! The stress and anxiety are over and you can finally celebrate the purchase of your very first house. Hire movers (or friends or family – just be sure to compensate them justly), get your stuff in and begin enjoying life as a homeowner!